German Diaz started his career as an infielder, getting time at each infield position over his first two seasons as a pro. He even got time in the outfield, three games in 1991 and another 13 in 1992, both at single-A Peoria. 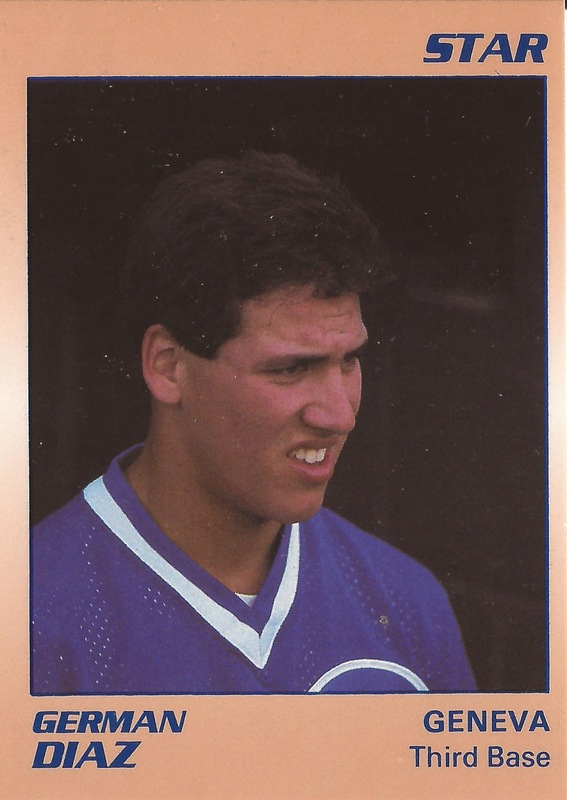 In 1993, though, Diaz added another position - pitcher. He got a total of 16 relief outings in the minors for the Indians. If Diaz hoped that position switch would prolong his career, it didn't. That season he spent as a pitcher in 1993 ended up being his last as a pro. Diaz' career began in 1989, signed by the Cubs as an undrafted free agent out of his native Puerto Rico. Diaz signed in time to appear in two games, two plate appearances for the Cubs at short-season Geneva. Diaz returned to Geneva for 1990, getting 61 games. He ended up hitting .254, with three home runs and 19 RBIs. For 1991, Diaz moved up to single-A Peoria, hitting .252 over 105 games, with 23 RBIs. Diaz returned to Peoria for 1992, getting just 26 games. He also moved back down to Geneva for another 16. Between the two levels, Diaz hit .238. Diaz then made his move to the Indians organization and to the mound. He got 11 outings back in the New York-Penn League with short-season Watertown, posting a 2.91 ERA. At single-A Columbus, though, Diaz ended up giving up seven earned runs in 10.2 innings of work, ending his career.